AT first glance you may think Santa has come early. But if you look a little closer you will realise this Santa is made of straw. 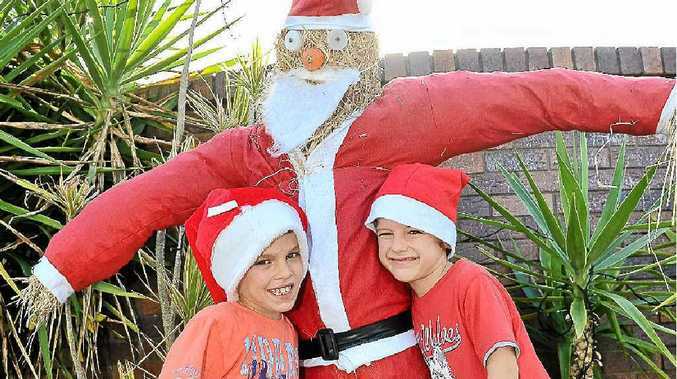 Sunshine Coast residents Ken Warren and his two children Robbie and Jamie have built an adult-sized Santa scarecrow on the front lawn of their Mooloolaba home. 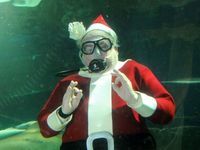 "The kids are Christmas fanatics and were pushing to put the exterior decorations up in mid-November," Mr Warren said. 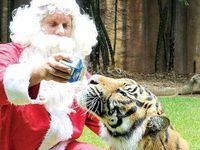 "They did a scarecrow building lesson at a farmstay in Maleny and they wanted to do a Santa one for Christmas. It was very economical. It cost well under $20 to build the whole thing." Mr Warren said neighbours had been "honking their horns at us and coming over". "We've had some very positive comments on the scarecrow," he said. Robbie, 8, and Jamie, 6, are not the only kids on the block excited about Christmas with decorations popping up all around the Sunshine Coast and Santa proving as popular as ever with the young ones at Coast shopping centres.